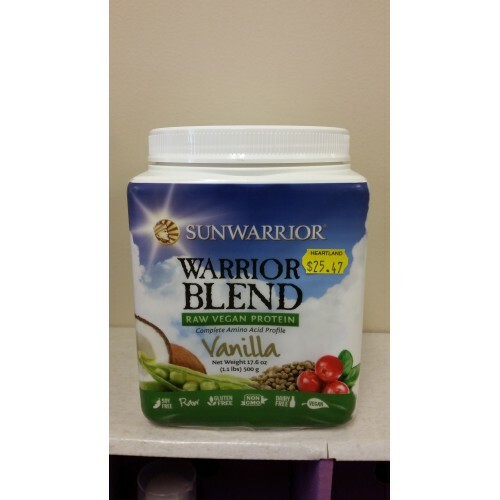 Ingredients:Proprietary Protein Blend ( Raw Organic Pea Protein, Organic Hemp Protein, Raw Organic Goji Berry), Organic Vanilla Flavors, Organic Guar Gum, Sea salt, Organic Stevia Extract, Organic Whole Grain Coconut. Contains Coconut. Raw Vegan Protein, Gluten Free, Non-GMO, and Dairy Free.